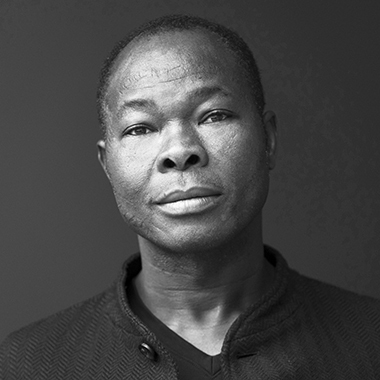 (1965, Burkina Faso) Francis Kéré is a German-trained architect and engineer from the small West African town of Gando in Burkina Faso. Keré is the founder and director of the studio, Kéré Architecture, and the Kéré Foundation, which was created to fund the construction of the Gando Primary School – the first of many architecture projects in Burkina Faso. He has developed innovative construction strategies that combine traditional materials and building techniques with modern engineering methods in sustainable architecture projects produced around the globe, and was the first African architect to be invited to design the Serpentine Pavilion, in 2017. His work has earned numerous prestigious awards such as the Global Award for Sustainable Architecture and the Schelling Architecture Award.